Eduardo Kac, "Reabracadabra," 1985. Photo courtesy of the "New York Times"
Professor of Art and Technology Studies Eduardo Kac's 1985 work Reabracadabra is featured in an exhibition The Art Happens Here: Net Art’s Archival Poetics at the New Museum, reports the New York Times in a recent article titled "The Art of the Internet, Restored and Out in the World." 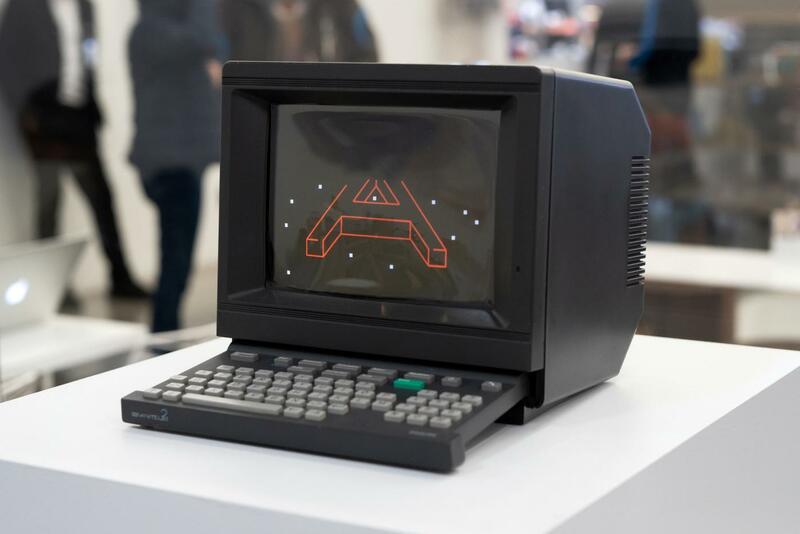 The New Museum show commemorates the completion of Net Art Anthology, a two-year online exhibition curated by Rhizome, which presents 100 artworks from net art history. Kac's Reabracadabra is "a digital poem created for Videotexto that he [Kac] described as a “personal, formal attempt at holographic work.” Kac went on to say, “There’s a general misperception when we talk about online culture. Everyone is so obsessed with the internet, but to me it’s a historical phenomenon. It will be superseded by other networks in the future.” Read the full article on the New York Times website. Kristin McWharter is a multi- disciplinary artist whose work interrogates the relationship between competition and intimacy.